Koh Chang and Koh Samet are the main islands in our area, and are well documented in these pages. In this section we will showcase the 'lesser' islands close to the Eastern coastline of the Gulf of Thailand. other than the two big ones there are many beautiful and interesting islands and islets here. 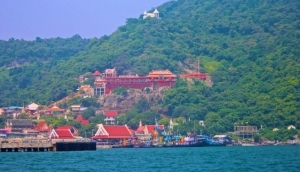 These Include, Koh Larn, Loy, and Sichan.